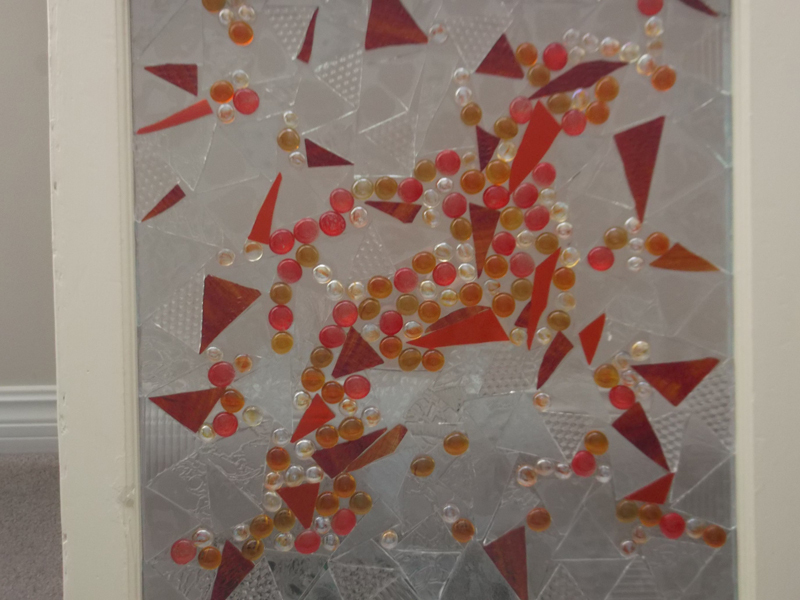 Guest Artist of Ilona Mayer at 109 Ridley St.
Brigitte thinks Green by creating art and items that would otherwise go the landfill site She creates Art from old windows – using stained glass, glass beads and mirrors. 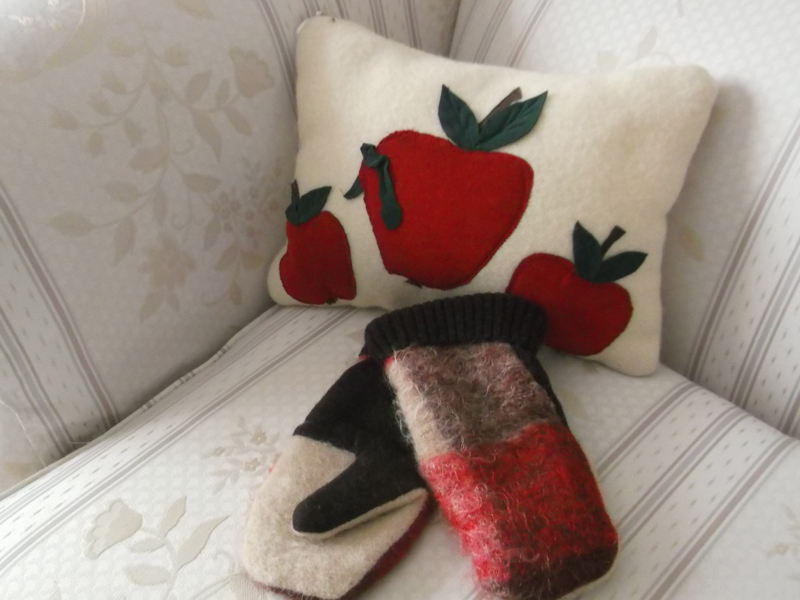 She is diversified as she also makes mitts and pillows from preloved sweaters, blankets and fur. As well she makes cozy afghans from preloved jeans.